Every organization and agency is at risk for a cyberattack. Without taking the necessary steps to communicate a response plan, you are setting up vulnerabilities that will make recovery after an attack even more difficult. Do you have a communication plan in place? You can start today to build an effective cyberattack response plan within your organization and minimize the damage done by cyberattacks. Not sure where to start? Take control of cybersecurity communications within your organization. 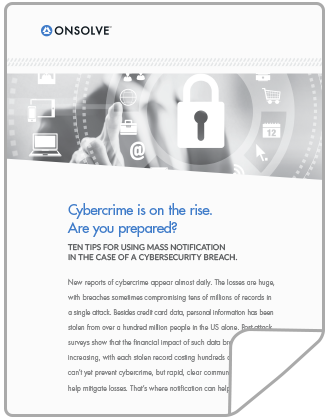 Download the latest tip sheet to learn more!